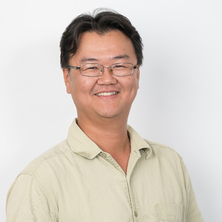 Dr Dominic Ng graduated with a BSc (Hons) and gained his PhD from the University of Western Australia. His doctoral studies, conducted in the laboratory of Assoc. Prof. Marie Bogoyevitch, were focused on cardiomyocyte signalling mechanisms regulating pathological tissue growth (ie cardiac hypertrophy). He continued his research training in Singapore as a post-doctoral research fellow based at the Institute of Molecular and Cell Biology, the flagship institute of Singapore’s science agency (A*STAR) located at the world renowned Biopolis research precinct. During this time, his research interests turned to the complex regulation of the cytoskeleton and their functions in development and disease. Protein phosphorylation, protein interactions, kinases, STAT transcription factors, microtubule-associated proteins.